To ask English football to learn, is usually to ask too much. 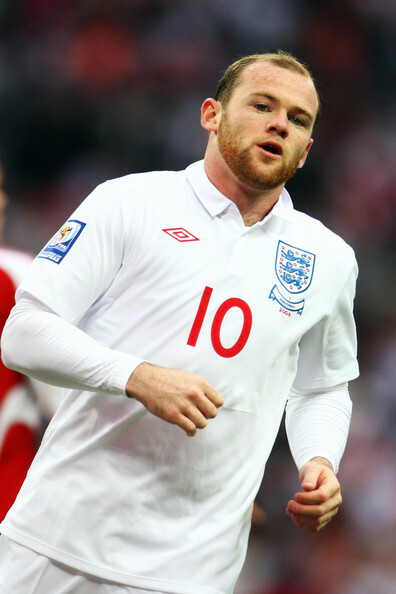 In the cycle of perpetual misfortune, England have carved themselves a comfortable little place – one festooned with cushions, lights and running water by the very men and women who pray for better everyday.Wayne Rooney and Jesus Christ have a lot in common. Both are featured in best selling books – Rooney’s albeit, of a more recent publication – both have faced trials and tribulations, births and resurrections and both at one point or another have offered hope to a group of disciples, disillusioned with the current state of things. Both are messiahs. Just as Jesus rose, quickly, stealthily from anonymity, Rooney did too. Rooney scored, Jesus preached. The parallels are there for all to see, the overlap between the lives of two seemingly polar opposite characters. But then again, it isn’t really a shock that comparisons have been made. Religious undertones are an ever present in modern day football reporting – symptomatic of the way religion has been used to articulate the feelings of fans, players and clubs over the last century. Gathering together en masse on certain days, chanting in unison at the behest of goings on in a central arena it is easy to see why football is fixated with the pseudo-religious role it occupies in the lives of millions. In England messiahs roam free. They start out, usually, as poor, uneducated sons of laborers only finding the concentration which deserts them in the classroom on the street or pitch or grass. They ascend, gradually up the ladder, reaching first professional and later celebrity status. Invariably though, this is where they fall. Theo Walcott reached this place with a hat trick in Zagreb, he hasn’t scored for England since.Wayne Rooney’s performance in Euro 2004 made him a national hero – his slump in later international tournaments emblematic of England’s culture of false dawns. On the eve of two vital European Championship qualifiers, England can no longer afford see their stars fail. Now is the time to abandon messiahs. Where was Spain’s messiah when they triumphed in South Africa? Nowhere. There was no stand out star, no figure, constantly pulling the team to victory. Spain’s success was bred of a philosophy, a group of players so together, so harmonious that no savior was required. If England intend to copy Vincente Del Bosque’s team, then it is this that they must replicate. The seeds have already been sown, ironically, by a Scotsman. At the helm of Manchester United for over twenty five years, only now has Sir Alex Ferguson brought together a core of English players able and ready to represent their country. A center back pairing of Smalling and Jones will likely figure prominently in 2014, a creative tandem of Rooney and Cleverley also sure to be key. Up front, Danny Welbeck continues to improve, come the next World Cup fans should expect the finished product. “They have done well at a very big side and they have come into the England squad and felt very assured – and rightly so because they are huge talents. They’ve got an awful lot to give,” said Terry of Jones, Smalling and Cleverley. “You don’t go into the Manchester United side if you are not ready and they have showed some great individual performances.” Ringing endorsement from a man who has done his fair share of messianic duty. Delve further into United’s youth system, and a slew of talent emerges into view. Ryan Tunnelcliffe is highly regarded and, should he shake off personal problems, Ravel Morrison’s future will be bright as well. Writing optimistically about England’s prospects is always risky business, but even the most jaded of fans appreciate the reservoir of talent set to irrigate English national team football for the next decade. If, and it is a big if, United can develop the kind of relationship with England that clubs like Honved, Barcelona and Ajax have made with their respective countries, then perhaps all those years of hurt might come to an end.